Designers, tutors, and CSM students were invited to donate three copies of an A2 poster, without including their names. We decided to keep the designers’ identities hidden to give equal opportunity to designers and students, so that posters were sold on the basis of their design rather than who designed them. The raised money went towards the 2012 BA Graphic Design Degree Show and St. Bride Library. 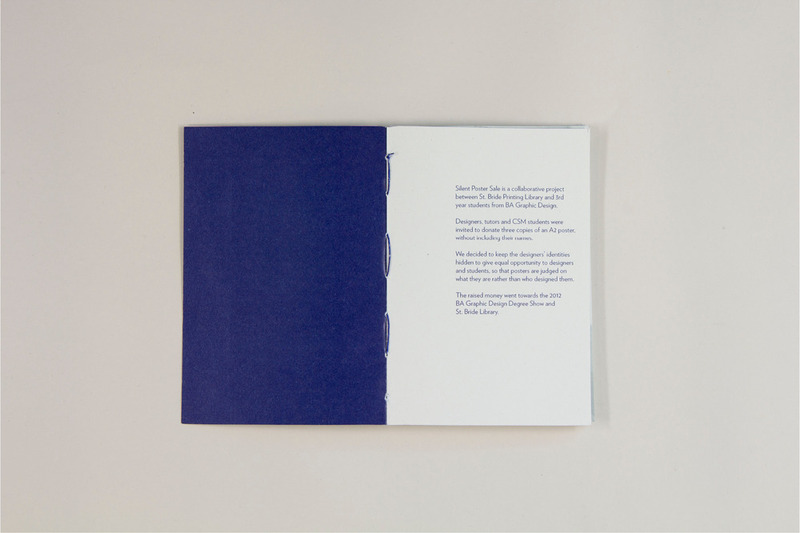 We letterpressed an invitation and designed a publication about the event. We also collected all the posters donated as a series of postcards showing on the front the picture of the poster and on the back the author.